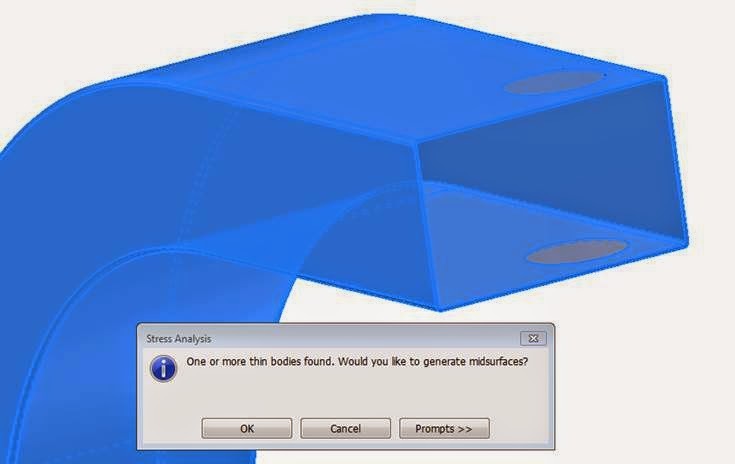 You are using Inventor’s stress analysis with a ‘thin body’ model, and you wish to split faces to apply force to a particular section of one face. The problem is – the moment you convert the model to a ‘Thin Body’, you lose the split faces. Use the ‘Split body’ tool instead of the ‘Split Face’ tool. 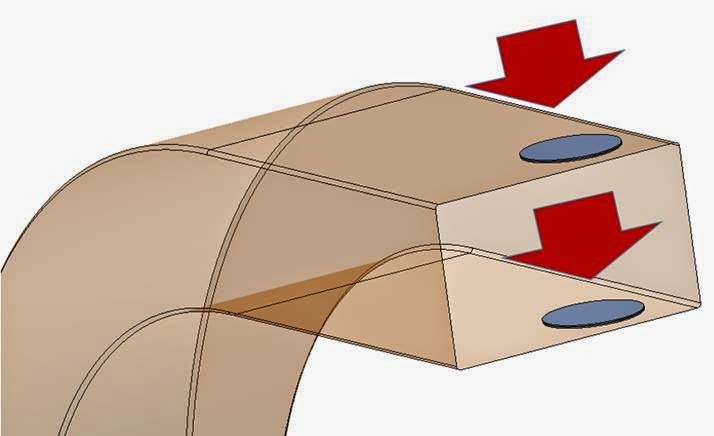 In a nutshell – we want multiple solid bodies on the part, so that the area we want to apply the force is NOT converted to a thin body, and the rest of the part IS converted. But let’s look more specifically at how this would work for the part above. 1) First - go into the model in question, and edit the ‘Split’ feature. Change it to ‘Split Solid’ as shown below. 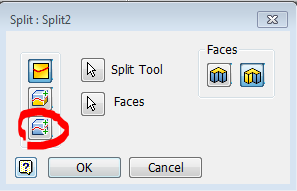 a) Extrude or sculpt to remove the ‘split face’ area completely. b) Build a boundary patch (In Inventor 2015 – use the Surface -> ‘Patch’ tool) over the split face. c) Use the ‘Thicken’ tool to thicken it to the required depth. Make sure the ‘Thicken’ is created as a ‘New Solid’, not ‘Join’ to the original solid. 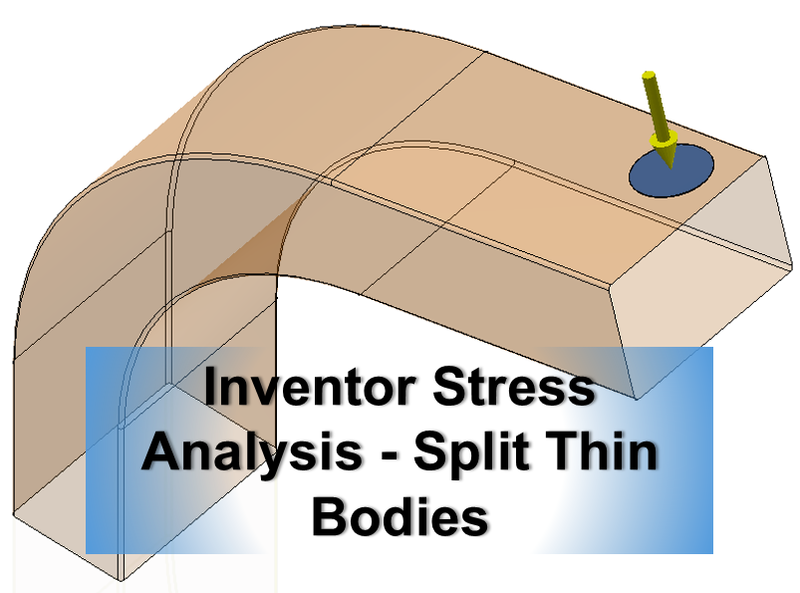 3) So moving on: Now when I use the ‘Find Thin Bodies’ tool in Inventor it will treat the split body(s) separately to the original body. 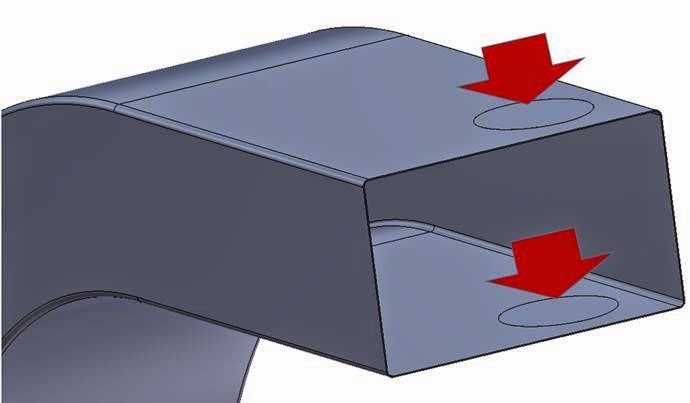 In this case you can see below that the split solids are not being recognised as thin bodies. It doesn’t matter whether they are thin bodies or not, the important part is that they are separate. So now I have 1 thin body and 2 solid bodies. 4) Now we can proceed as normal. 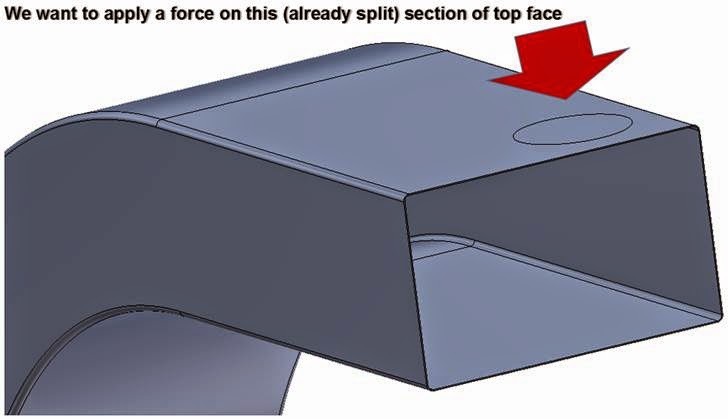 Just make sure you apply bonded contacts between the thin body and the solid bodies (to weld them together). The ‘Automatic’ contacts button should take care of that as per usual. 5) Run the analysis. Jobs a good-un.